These are programmes which run alongside churches in the community for children aged 7-14. 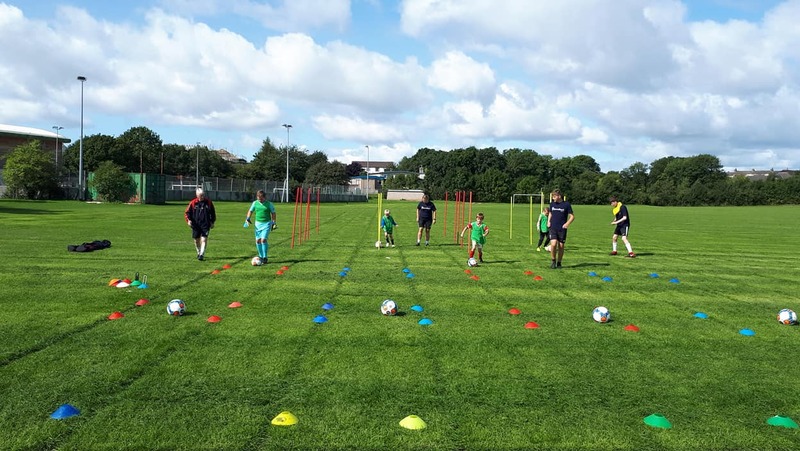 They offer 4 days of quality coaching with the purpose of developing skills, good sportsmanship and fair play through fun games, training sessions, competitions and matches. Fun is an important emphasis of the schools, and we aim to offer equal attention and opportunity to children of all abilities. We also have daily Bible times with the children, which helps to develop the moral and spiritual aspects of a child’s life. Every day there is a gospel meeting, which includes fun songs, a ‘coaches interview’ and a clear gospel presentation based around a theme, for example ‘In the Beginning’ looking at creation, the fall of man and God’s solution. The children are given opportunity during the week to respond to what they have heard. The week culminates on the final day with a ‘World Cup’ tournament between the teams, and we encourage family and friends to come and support. There are also ‘parents vs coaches’ matches, which gives the adults opportunity to have a go, and the day is often rounded off with a BBQ and gospel message. A final awards service is held at the host church on the Sunday morning at which the children receive their prizes. Their families are invited to attend and get a glimpse into what we have been teaching the children during the week. 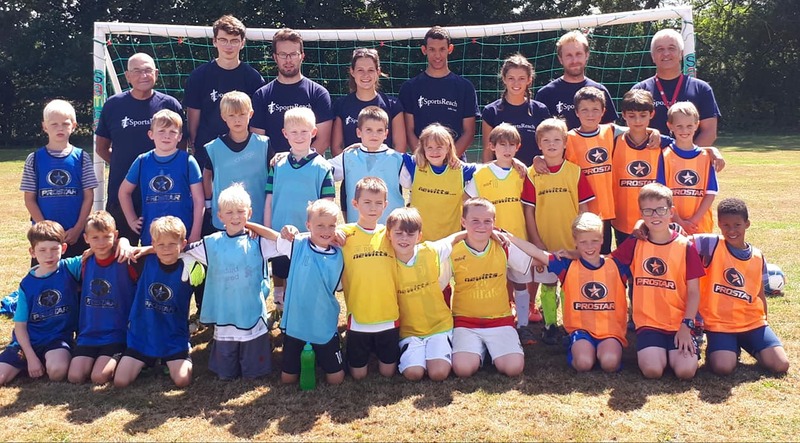 The Soccer and Netball schools provide a great opportunity for churches to build relationships with families in the community which we pray will grow and deepen. 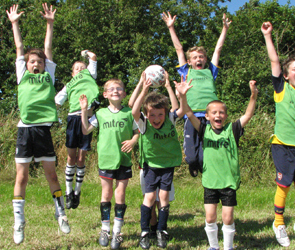 We run approximately 14 soccer schools and 7 netball schools each year. Most are in the UK but sometimes a soccer school will form part of an overseas tour or mission. We take groups of up to 100 children, usually over the school holiday period. Each young person is in a team, of around 7 players. Each team has 2 coaches who facilitate and encourage the development of the team. The coaching is given by experienced players, (many of whom hold the F.A. level one coaching certificate for football). I had a great week and made new friends, but it was more than that, because the message of Jesus became real to me and was something I wanted for myself, so I asked Him into my life. I just felt I had to write and thank you again for the soccer school you kindly ran…to see the community coming together in such a way was brilliant. I have nothing but positives coming my way about the style of coaching, the attitude of everybody and the way children who could hardly kick a ball, were treated the same as those who could. The fact that at least two children gave their hearts to the Lord made it all the more worthwhile. I just wanted to take a minute to say thank you all so very much for an amazing Sports Reach week. As Christians it is wonderful to be part of God’s wider family. We were all really uplifted and renewed in our faith by seeing so many young people having such a great time and being nurtured in such a save, fun and loving environment.